CABLE (Connect ANT+ to Bluetooth Low Energy) converts ANT+ radio signal to the industry standard Bluetooth Low Energy connections.The ANT+ data is available in any application capable of consuming BLE profile data. This is the only stand-alone ANT+ to BLE converter on the market! The supported ANT+ profiles are Heart Rate, Bike Power, Bike Speed & Cadence, Running Speed & Cadence, Crank Torque and Fitness Equipment. The supported Bike Power profiles include Power Only, Wheel Torque, Crank Torque and Crank Torque Frequency. 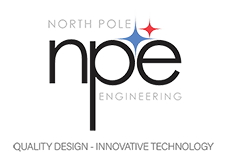 Your CABLE purchases come with a limited twelve month warranty in the U.S. only, however NPE will repair or replace any unit found to have a manufacturing defect within the warranty period for all countries, provided that notification is given within the warranty period an the product is returned to NPE. The warranty period is determined from initial product shipment date from NPE. Mishandling of the CABLE unit is not a manufacturing defect. Customs- We are NOT liable for the payment of any customs charges, tax fees, or tariffs assessed by your country. To begin using your CABLE, download CABLEConfig from the AppStore! CABLEConfig works on any iOS device. CABLEConfig is not available for MAC or Android devices. WARNING: This product can expose you to chemicals including bisphenol A (BPSA) which are known to the State of California to cause cancer and birth defects or other reproductive harm. For more information go towww.P65Warnings.ca.gov. PLEASE NOTE: CABLE is certified in the USA, Canada, Australia, New Zealand, and European (CE) countries. We can only ship product to addresses in these countries! I have all Garmin sensors and wanted to get set up on Zwift. I researched CABLE and the other popular ANT+/BLE converter and decided on CABLE. Ordered on the 19th and received today (23rd) after the holiday weekend. i paid for 2-day shipping. Set up with the app and sensors was relatively painless and obviously intuitive, as I didn’t need to download the NPE instructions to get fully set up with 3 sensors—HR, speed, cadence. And setup with Zwift was really easy. It seemed to take a while for Zwift to recognize the CABLE device, but that could be something on the Zwift end. Regardless, once Zwift picked it up, I was able to connect to a ride on screen in a flash. This is a fantastic little device. The sensors on all of my bikes are ANT+, and I have often wished that there was a way to connect my sensors to apps on my phone. CABLE solves this flawlessly. I can eve use CABLE to complete virtual rides using the Zwift app on my Apple TV! I am very satisfied with it and highly recommend this device. I live in both Apple and Garmin worlds. Meaning my sensors are ANT+ and my computers are BLE equipped. This sensor replaced the USB Ant+ adapter and the long wire it needed and expanded the info displayed on my iPad while using Rouvy. I use it for HR and cadence broadcast and I have a cycleops Hammer smart trainer. Allows for seamless use of all my existing ANT+ sensors with Bluetooth devices! A life saver with Zwift on an iPad. Easy to set up. Easy to use. Finally connected to my iOS devices! Good product. Easily connected my Garmin Vector pedals to my Apple TV via iPhone ap. Can now do my Zwifting on the big screen.